NEW! Heavy 30 MIL Magnetic Stock! 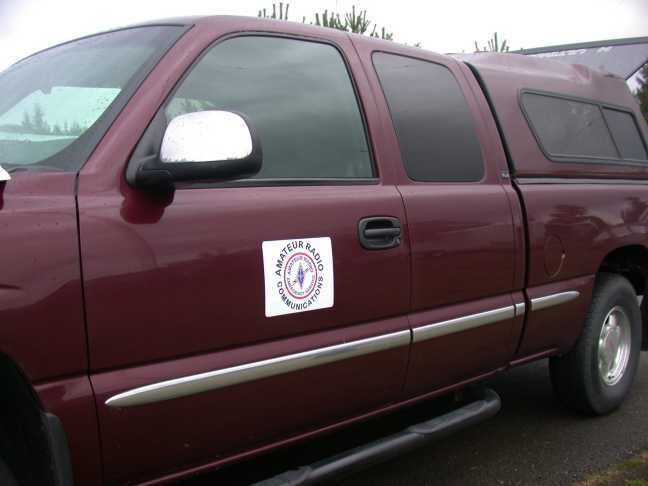 These 9" x 12" magnetic signs look good and identify your vehicle during an official function. Although we can not guarantee adherence at highway speeds, we have not had any problems with our test vehicles, and as event signs you should never have a problem. This material is 2.5 times thicker than the magnetic signs we have sold for the last 6 years. Made in our shop from 30 MIL magnetic sheet stock we have sold hundreds of them at hamfests and now have them available on the web. Only $15.00 each plus $8.00 s/h for one and $10.00 s/h for any number on the same order. Specify ARES or RACES. We can also do CUSTOM MAGNETIC signs using your design and graphics for $18.00 each. Nominal size is 9 x 12. Just let us know what you need and e-mail Ron with the graphic you wish to use. Two day turnaround on all magnetic signs due to drying time for UV Protection spray. If you operate VHF and like to monitor your favorite frequency, you can appreciate the value of discreetly letting your fellow travelers know what frequency you are listening to. These CarBadges are available for any frequency you request. They are small enough in size to be discreet yet large enough to catch the eye of passing hams. Since I have put a car badge on my car, I have received ten times the amount of calls while traveling. Carry several with you if you monitor more than one frequency. The CarBadge is made from premium vinyl, overlaid on 3 1/2" wide x 2" high .020 magnetic slab stock. They can be applied and removed easily with no damage to your paint finish. The CarBadge is not recommended for application on the side of your vehicle, but they work very well on the rear. The cost of the CarBadge is $3.50 each, plus $1 .00 each s/h. Please specify frequency when ordering.